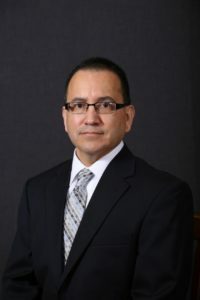 San Benito City Manager Manuel De La Rosa has been deemed a finalist for the position of the same function in the city of Del Rio. The news comes after the town’s local paper, the Del Rio News Herald, reported on Jan. 9 that De La Rosa was one of two finalists, out of five, being considered for the position. When reached for comment, De La Rosa opted out of a phone call and instead released a press statement. “City Manager Manuel De La Rosa has been named a finalist with the City of Del Rio,” read the statement. MR.De La Rosa in my opinion you do not deserve an extension on your contract.The City Of San Benito can do much better and not have to settle for your mediocre job performance.Mr De La Rosa you have not addressed the contents of the hundreds of sneaky recordings the Police Chief Galvan made,The letter of no confidence signed by Police Officers,The investigation on the x-edc director Salomon Torres just to name a few. Events that had been held here are no longer or have moved to different cities where they are welcome.The sad thing about it is that the Mayor and City Commission allowed you to do this. In my opinion no contract extension and our city can do better than your mediocre job performance. The citizens and voters are watching this very closely.